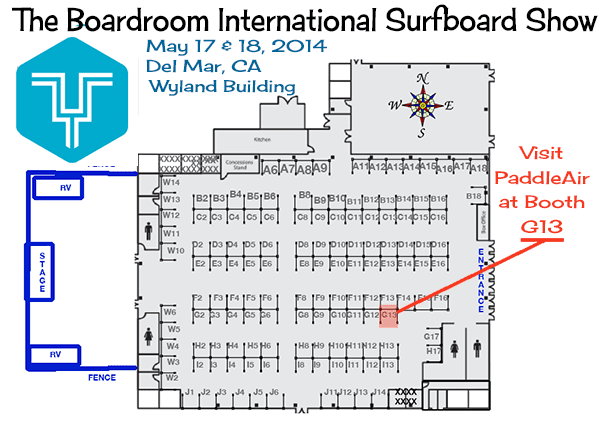 The Board Room International Surfboard Show (formerly Sacred Craft) is returning to Del Mar, California on Saturday and Sunday, May 17 and 18, 2014, and PaddleAir has a great booth right next to the Best of Show surfboard display (which is not shown in the floor plan below). The history of our lifestyle is the history of the surfboard. Nothing has defined the surfing experience more than that on which we ride the waves. Nothing defines the surfer more than his (or her) surfboard. So much more than a tool, the surfboard has become a philosophical icon, a sacred craft, a culturally pervasive symbol of freedom, adventure and enduring youth. THE BOARDROOM is an opportunity for the entire surf industry to come together under one roof and share their boards, their products and their authentic passion with other surfers. 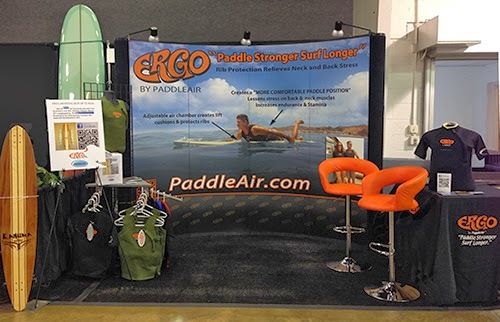 You can surf on over to The Boardroom website to learn more and see some great photos of past shows, and as the Del Mar event draws closer get the scoop on tickets and parking.